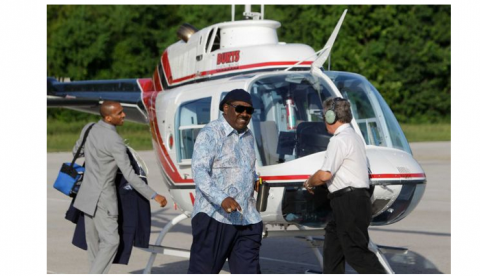 Bishop Hilliard, center, claims God told him it was time to upgrade his helicopter. Prosperity Gospel preacher and false prophet I.V. Hilliard of New Light Christian Center Church in Houston, Texas, has come under fire for sending a letter requesting a special “favor seed” of $52 from church members in order to upgrade the church’s helicopter. 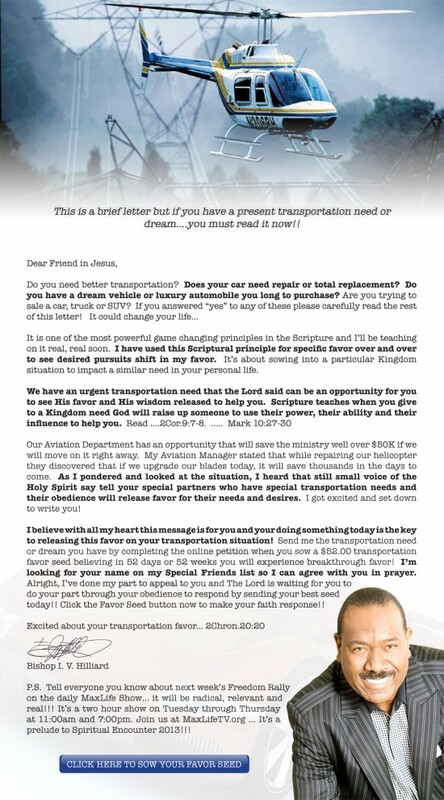 Claiming he received a direct message from God regarding the situation, Hilliard’s letter, which promises all who “sow a seed” that they will automatically receive a “transportation blessing” in their own lives, is a stark example of the many heresies and false doctrines in the Prosperity Gospel movement that has corrupted much of the Christian church today. Hilliard and his wife, who live an extreme, lavish lifestyle comparable to multimillionaire rock stars, are a part of the apostasy – the prophesied falling away of much of the Christian church from Biblical doctrine to false preaching, in preparation for the coming Antichrist. Bishop I.V. Hilliard and his wife “First Lady” and co-pastor Bridget Hilliard, lead New Light Christian Center, a church with 6 campuses and over 28,000 members. Its main building holds over 8,000 and was purchased from mega church pastor Joel Osteen (Osteen’s church had outgrown the building and he went on to purchase a professional basketball stadium to hold his services in). Hilliard’s mega-church also has a TV broadcast and was listed as one of the The 50 Most Influential Churches in America. “Do you need better transportation? Does your car need repair or total replacement? Do you have a dream vehicle or luxury automobile you long to purchase? Are you trying to sale [sp] a car, truck or SUV? If you answered ‘yes’ to any of these please carefully read the rest of this letter. It could change your life…. In is one of the most powerful game changing principles in Scripture and I’ll be preaching on it real, real soon. I have used this specific Scriptural principle for specific favor over and over to see desired pursuits shift in my favor. It’s about sowing into a particular Kingdom situation to impact a similar need in your personal life. The letter goes on to request a “$52 transportation favor seed” to be given to the church with the promise that within “52 days or 52 weeks” each donor will receive the“transportation breakthrough” they have been waiting for. This shameless begging for money based on twisted use of Bible Scripture is a basic and routine part of the Prosperity Gospel, also known as the Word of Faith Movement, Health and Wealth or “name it and claim it” doctrine. The basic premise of this false teaching is that Christians, by virtue of being believers in Jesus Christ are entitled to massive amounts of wealth, fame, beauty and worldly influence and just need to perform the proper actions to unlock and release these earthly blessings. Normally the “release” is achieved by “sowing a seed of faith” – which is sending money to the pastor, and then “claiming their breakthrough” which is the belief that by uttering the proper words, God will then be “activated” to send a blessing to the donor. But is this what the Bible teaches? Is this a true Christian doctrine? A brief study of Scripture will show the answer is emphatically, NO. Lay not up for yourselves treasures upon earth, where moth and rust doth corrupt, and where thieves break through and steal: But lay up for yourselves treasures in heaven, where neither moth nor rust doth corrupt, and where thieves do not break through nor steal: For where your treasure is, there will your heart be also. – Matthew 6:19-21. Jesus Christ, the Son of God, made it clear time and time again that a Christian’s focus should not be on material gain. He taught the exact opposite, specifically commanding against the storing up of “treasures upon earth” which a person loses once they die, and instead commanded His believers to focus on “treasures in heaven” – the blessings one receives when they put their faith in Him for salvation. The ultimate blessing a Christian is 100% guaranteed to receive is forgiveness of sins and eternal life in Heaven. It is through the sacrifice of Jesus Christ on the cross that a person can go from a condemned sinner, to a forgiven child of God. And the Christian life is one of giving up the lusts and pleasures of the world, in order to live a life that is holy and in accordance with Bible Scripture. With respect to the sacrifices that a Christian must make Jesus said: “..If any man will come after me, let him deny himself, and take up his cross, and follow me.” (Matthew 16:24). The essence of the Christian life is the denial of one’s own personal wants, dreams and agenda in order to let Jesus Christ and God’s Word direct their lives. This is the exact opposite of the Prosperity Gospel which puts all of the emphasis on satisfying whatever material or financial desires a person has. Rather than denying oneself, the Prosperity Gospel teaches that the entire world and all its material wealth are a Christian’s entitlement. And it just takes enough “faith seeds” and magical words in order to bring it into your bank account. Instead of putting the focus on eternal life, as the Bible does, the Word of Faith doctrine emphasizes living for today, living “your best life now” and worldly success. Jesus Christ said: “For whosoever will save his life shall lose it: and whosoever will lose his life for my sake shall find it. For what is a man profited, if he shall gain the whole world, and lose his own soul? or what shall a man give in exchange for his soul?” (Matthew 16:25-26). Because of the sin of humanity, this present world is cursed with death, pain and suffering. The true reward lies in eternity. So the person who clings to this world and puts all their focus on this life, ignoring the need for forgiveness of sins through Jesus Christ, will end up losing everything, because along with losing their valued material possessions, they will also die guilty in their sin and suffer eternal damnation. But those who “lose their lives” – in other words, those who are willing to foresake the sinful lusts of today and put faith in Jesus Christ first and foremost in their hearts and minds will “find life” because they will have eternal life and blessings that will never leave. Jesus repeatedly preached against covetousness and emphasis on material gain. But this has not stopped the Prosperity Gospel pastors from making it their tool to lure unsuspecting church goers into false doctrine. “And many false prophets shall rise, and shall deceive many.” – Matthew 24:11. The Bible contains many warnings about false prophets – preachers who claim to preach Christianity but in fact, preach heresies. Christians are to be wary of any pastor whose teachings do not align with Scripture. In the case of Hilliard, the Biblical errors abound. Already the focus on material gain has been exposed as error but in the few Scriptures he cites, there is more heresy. Every man according as he purposeth in his heart, so let him give; not grudgingly, or of necessity: for God loveth a cheerful giver. And God is able to make all grace abound toward you; that ye, always having all sufficiency in all things, may abound to every good work: – 2 Corinthians 9:7-8. Now concerning the collection for the saints, as I have given order to the churches of Galatia, even so do ye. Upon the first day of the week let every one of you lay by him in store, as God hath prospered him, that there be no gatherings when I come. And when I come, whomsoever ye shall approve by your letters, them will I send to bring your liberality unto Jerusalem. – 1 Corinthians 16:1-3. Moreover, brethren, we do you to wit of the grace of God bestowed on the churches of Macedonia; How that in a great trial of affliction the abundance of their joy and their deep poverty abounded unto the riches of their liberality. For to their power, I bear record, yea, and beyond their power they were willing of themselves; Praying us with much intreaty that we would receive the gift, and take upon us the fellowship of the ministering to the saints. – 2 Corinthians 8:1-4. For as touching the ministering to the saints, it is superfluous for me to write to you: For I know the forwardness of your mind, for which I boast of you to them of Macedonia, that Achaia was ready a year ago; and your zeal hath provoked very many. Yet have I sent the brethren, lest our boasting of you should be in vain in this behalf; that, as I said, ye may be ready: Lest haply if they of Macedonia come with me, and find you unprepared, we (that we say not, ye) should be ashamed in this same confident boasting. Therefore I thought it necessary to exhort the brethren, that they would go before unto you, and make up beforehand your bounty, whereof ye had notice before, that the same might be ready, as a matter of bounty, and not as of covetousness. – 2 Corinthians 9:1-5. This is the context of the verses which Hilliard plucked out to support his helicopter fund. Hilliard has built his ministry around the love of money and financial gain. Note the differences in his use of the Scripture compared to what the Bible is actually conveying. The collection for Jerusalem was to help the poor. It was going to those who were literally starving. It was not a collection to help pay for one of Paul’s luxury items. Furthermore the emphasis on giving was to be done with a cheerful heart and “not as of covetousness.” Christians are to give to the poor with no thought of return. Hilliard’s entire approach is based on provoking desire in his congregation with lines like ” Do you need better transportation? Does your car need repair or total replacement? Do you have a dream vehicle or luxury automobile you long to purchase?” The appeal in his pitch is that by giving the money to him and his Aviation Department, God is going to provide an even bigger payoff in the form of a luxury car or SUV within 52 days or weeks. Therefore I say unto you, Take no thought for your life, what ye shall eat, or what ye shall drink; nor yet for your body, what ye shall put on. Is not the life more than meat, and the body than raiment? Behold the fowls of the air: for they sow not, neither do they reap, nor gather into barns; yet your heavenly Father feedeth them. Are ye not much better than they? Which of you by taking thought can add one cubit unto his stature? And why take ye thought for raiment? Consider the lilies of the field, how they grow; they toil not, neither do they spin: And yet I say unto you, That even Solomon in all his glory was not arrayed like one of these. Wherefore, if God so clothe the grass of the field, which to day is, and to morrow is cast into the oven, shall he not much more clothe you, O ye of little faith? Therefore take no thought, saying, What shall we eat? or, What shall we drink? or, Wherewithal shall we be clothed? (For after all these things do the Gentiles seek:) for your heavenly Father knoweth that ye have need of all these things. But seek ye first the kingdom of God, and his righteousness; and all these things shall be added unto you. Take therefore no thought for the morrow: for the morrow shall take thought for the things of itself. Sufficient unto the day is the evil thereof. — Matthew 6:25-34. Having food, clothing and the basic necessities is something that a Christian can call on God to provide. But how do we receive them? Is it by “sowing a seed” of money? Is it by “claiming a breakthrough” with our words? Is it by occult ritual? No. It is done by “seeking the Kingdom of God and His righteousness.” The righteousness of God is attained by faith in Jesus Christ. It is only through faith in Jesus Christ that a sinner can be redeemed and declared righteous before God. So the blessings a Christian receives, in this life and in Heaven are through Jesus Christ. It is not the result of our own actions. It was all earned by Christ. This is why Jesus taught that Christians were not to spend time worrying or “dreaming” about their earthly needs. He has won them for all who believe in Him. But this is something Prosperity Gospel false teachers cannot teach because it removes their ability to manipulate their congregations by coercing them into giving money thinking they can “buy” God’s favor. Do not be deceived. And Jesus looking upon them saith, With men it is impossible, but not with God: for with God all things are possible. Then Peter began to say unto him, Lo, we have left all, and have followed thee. And Jesus answered and said, Verily I say unto you, There is no man that hath left house, or brethren, or sisters, or father, or mother, or wife, or children, or lands, for my sake, and the gospel’s, But he shall receive an hundredfold now in this time, houses, and brethren, and sisters, and mothers, and children, and lands, with persecutions; and in the world to come eternal life. – Mark 10:27-30. The meaning of this passage is not that Jesus was promising “100 houses” to any person who would become His disciple. He was comparing the joy of those who forsook their earthly life to follow Him and receive salvation as being one hundred time better than the joy friends, property, wealth, family and a big home can bring. Even “with persecutions”, the Christian life is still infinitely better than the life of a wealthy unbeliever who is lost in sinful rebellion with the wrath of God hanging over her head each day. Hilliard shamefully tries to use this passage to support the “deal” he is pitching – that giving money to him will lead to a much bigger financial return from God. 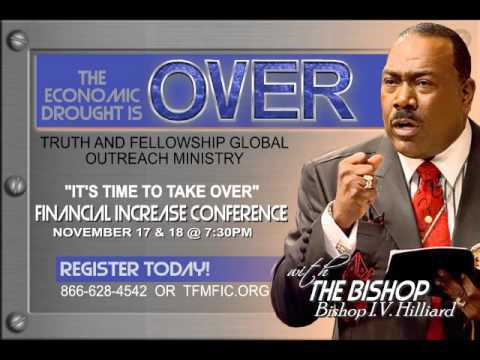 Bishop Hilliard’s Mansion: “For the love of money is the root of all evil: which while some coveted after, they have erred from the faith, and pierced themselves through with many sorrows.” – 1 Timothy 6:10. Lord willing it is clear that Hilliard is not teaching Biblical Christianity. Instead he is doing just what the Apostle Peter’s warning states in 2 Peter 2: “And through covetousness shall they with feigned words make merchandise of you:” By promoting covetousness in his congregation (“do you want a new car?“) Hilliard used Bible twisting tactics to make merchandise of his congregation – all to fund his helicopter upgrade. Peter continues in his warnings of false teachers by describing their motivations: “Having eyes full of adultery, and that cannot cease from sin; beguiling unstable souls: an heart they have exercised with covetous practices; cursed children: Which have forsaken the right way, and are gone astray, following the way of Balaam the son of Bosor, who loved the wages of unrighteousness..” (2 Peter 2:14-15). Balaam was a prophet in the Old Testament who charged a fee to perform divination and was offered money to falsely prophesy a curse on the children of Israel. In this same way, these false teachers today are willing to preach a false gospel and “damnable heresies” for one main purpose – money. 2 Peter again comments on the flamboyant, lavish lifestyle of false preachers: “And shall receive the reward of unrighteousness, as they that count it pleasure to riot in the day time. Spots they are and blemishes, sporting themselves with their own deceivings while they feast with you..” As this passage accurately prophesied, the false teachers of today have no shame in bragging about their immense wealth and flaunting it to their congregations. As we have chronicled with other Word of Faith pastors, Hilliard lives in the lap of luxury. In addition to his helicopter, Hilliard lives in a sprawling 24,000 square foot mansionsurrounded by five 2,200 square foot guest houses and a 3,500 square foot, 3-bedroom, “exercise room.” In total, the compound has 30 bedrooms and 36 bathrooms. 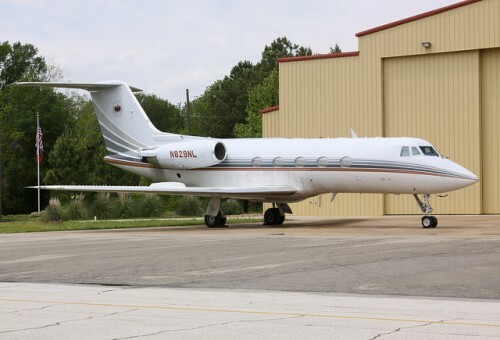 In addition the multimillionaire pastor travels in a private jet. The Grumman G-2 private jet owned by New Light Christian Center. 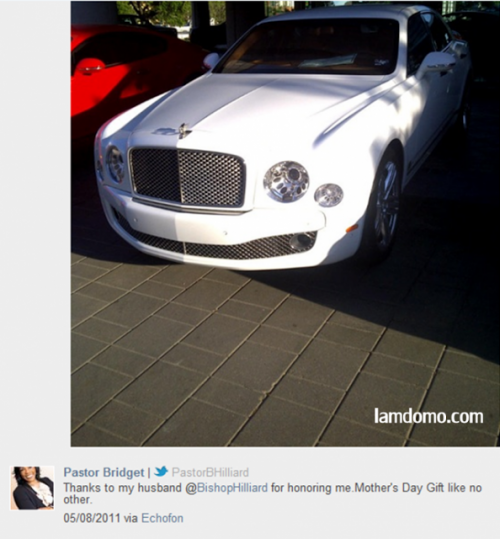 “Pastor” Bridget Hilliard tweeted a photo of her new Rolls Royce Phantom. Here she brags about the Rolls Royce Phantom luxury vehicle her husband bought for her. This is an automobile whose cost starts at $398,000. While many of the members of their congregations struggle to pay rent and buy food, the pastor and his “co-pastor” wife live the lives of rock stars, “sporting” or showing off right in front of their followers. 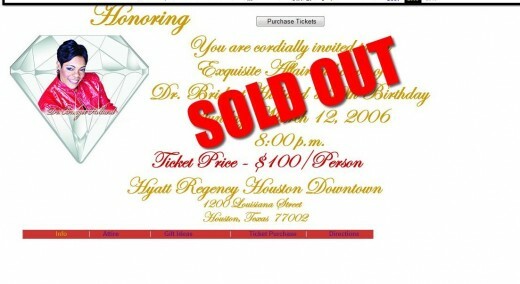 First Lady Bridget Hilliard’s Birthday extravaganza was clearly a financial success. Designer handbags: Gucci, Chanel, Louis Vuitton. Gift certificates: Neiman Marcus, Saks Fifth Avenue, Escada. (source). The ballroom for the birthday extravaganza. (Don’t be afraid to give cash, that’s why we put it at the top of the list and if you’re giving a designer handbag, no knock-offs. Pastor Bridget deserves genuine Gucci. We’ll be checking for authenticity and we wouldn’t want to embarrass you in front of all the other church members). Her birthday is March 12th which is a Sunday so be sure to get your gift in the mail in plenty of time for it to arrive by Saturday March 11th. We look forward to seeing you (or your gift) at the event! [Emphasis added]. Pastor Hilliard also runs an organization called the Association of Independent Ministries in which other pastors join for the chance to have Hilliard serve as a “father” to them. There is a $50 application fee and $100 annual membership fee for this honor. It is reported that over 1,200 pastors are members. To be a special “son or daughter/protégé” of Hilliard requires a pledge to “serve the church physically/financially” in addition to tithes (which of course are required). A Hilliard follower can also be a member of the Pastor’s “Wisdom Connection” which provides special VIP access to the pastor’s sermon notes, notes from classes Hilliard teaches and audio and video of sermons. All this can be yours for $200 per month. Why is a pastor and supposed man of God, charging for his sermons? Well to support the many mansions and luxury vehicles they own. Beloved, this is not Christianity. This the satanic corruption of the Christian church that the Bible prophesied. Rather than preach the Biblical Gospel of repentance and forgiveness of sins through faith in Jesus Christ, Hilliard teaches a false gospel premised on money, self-elevation and lust for the world. And this false gospel is leading people way from the God of the Bible and to a false religion that leads to hell. 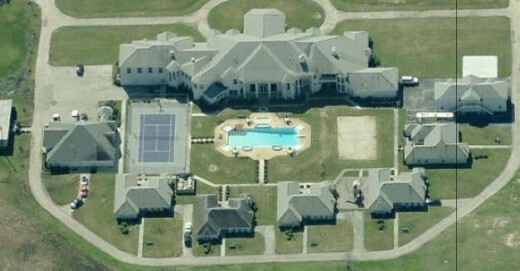 And it is with this fabulous, decadent lifestyle that mega church pastors like the Hilliards dazzle their followers. Rather than put the focus on Jesus Christ, they show off their own glory, to both intimidate and provoke envy among their devoted church attendees. The idea is that since they have so much wealth, they must be “anointed” by God and have special divine revelation. This gives the wolves in sheep clothing the ultimate trump card – since they are “chosen prophets of God”, they should never be questioned. In this Fox News report on the helicopter controversy, notice that New Light church attendees are so frightened to question their pastor, they will not even appear on camera without having their images and voices altered. To no surprise, Hilliard is a featured preacher at the 2013 Mega-Fest Conference in Dallas, Texas alongside major heretics T.D. Jakes, Joel Osteen and Creflo Dollar – all preachers of the prosperity gospel who Beginning and End has previously done articles on. These false teachers similarly abuse and twist the Word of God to build their multi-million dollar empires. For the LORD God is a sun and shield: the LORD will give grace and glory: no good thing will he withhold from them that walk uprightly. – Psalm 84:11. The truth of the Scripture, no matter what false prophets claim, is that no person can “walk uprightly” or be “righteous” without faith in Jesus Christ. Through faith, the righteousness of Christ is imputed to a born again Christian, providing forgiveness of sins. This is what the Bible is about. This is the great blessing of Scripture – eternal life. Pray for repentance or judgment to come upon I.V. Hilliard, his First Lady and the rest of their corrupt ministry. And pray for the deceived congregation of this mega-church to learn the Biblical Gospel and start following and learning the Scriptures in spirit and truth. Despite losing their money, many people are also risking their eternal destiny as they spend their time and wealth on a false gospel, worshiping a false God and relying on a false spirit. By God’s grace, perhaps some will flee from false teachings and worldly lust and seek true, eternal wealth in Jesus Christ. Wow, I am a Pastor and I must agree with most of what your saying, we have a tendency to twist the Word to our liking, instead of letting his word straighten us out. I was brought up in a Word of faith church for my first few years as a Christian, I believe that false teachers deny Christ in many ways, mainly by not acknowledging Jesus as the way. the way to true life. I believe the entire church has falling away from preaching the good news of salvation though Jesus Christ. We have lost our voice as a church, the mouth pieces of God today are speaking more about politics, this country, self help, money and what other ministries are doing wrong. The bible says go into the world and preach the good news to everyone. The Church has been distracted from our purpose in so many ways at the expense millions of lost people, God help us all. It appears you have done your homework, however the bible says to go to him first if he is your brother, I hope you attempted to do that, believe it or not we can all be wrong. And If he is your enemy or an enemy to the kingdom of God, the Word of God says to pray for him. This will protect you from receiving a wrong spirit. I wrote letters to KC years ago, but he thinks he actually hears from God, so I am sure it had no effect. They are blind leading the blind, and both will fall into the ditch. Proverbs 22:16 says: “He that oppresseth the poor to increase his riches, and he that giveth to the rich, shall surely come to want.” I am calling for a boycott in giving to these multi-millionaire preachers!